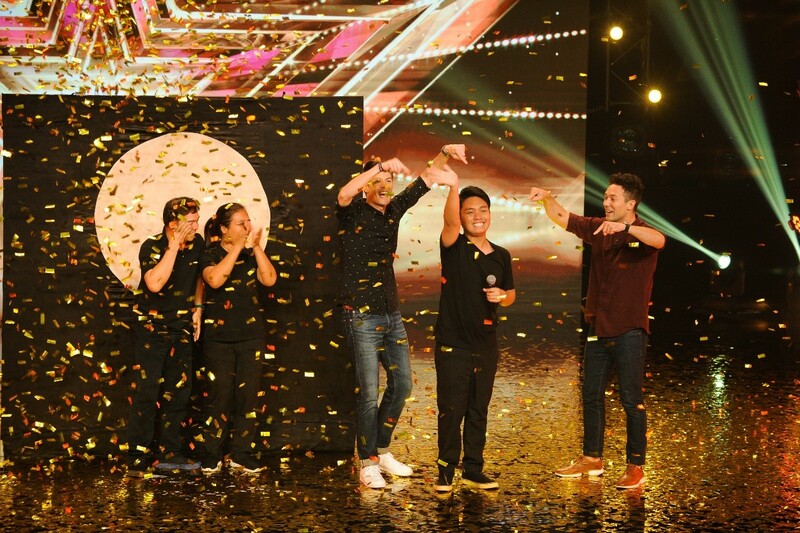 Shadow Ace from the Philippines scored a Golden Buzzer from the hosts in last Thursday’s episode of Asia’s Got Talent. The 20-year-old hand shadow artist, together with his parents, were overwhelmed with joy as the hosts joined them on a stage filled with golden confetti. Growing up in a neighborhood with constant blackout, Shadow Ace entertained himself with candlelight and it slowly became a passionate hobby that he’s actively pursuing. “Shadow Ace, it’s a silly little thing I guess, just to say that you play with your hands and make figures like that, but I’ll let you know, I forget they were hands. They were people to me,” David Foster said. “I am so glad that you are on this show. I really love that performance,” Anggun added. “He’s brilliant and amazing!” Alan and Justin said, before running to the judges’ table and pressing the Golden Buzzer. The Golden Buzzer will send Shadow Ace straight to the Semi-Finals in March where he will have a shot at the USD100,000 grand prize and the winning title. Watch the encore telecast of this episode on Saturday at 7:30pm on AXN. New episode of Asia’s Got Talent airs every Thursday at 8:30pm on AXN. To follow the journey of this season’s acts, check out #AXNAsia and #AsiasGotTalent. So amazing Ace shadow.. go go go for the final.. you can do it.